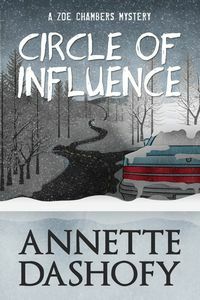 Circle of Influence by Annette Dashofy: Synopsis and Online Purchase Options. Synopsis (from the publisher): Zoe Chambers, paramedic and deputy coroner in rural Pennsylvania's tight-knit Vance Township, has been privy to a number of local secrets over the years, some of them her own. But secrets become explosive when a dead body is found in the Township Board President's abandoned car. As a January blizzard rages, Zoe and Police Chief Pete Adams launch a desperate search for the killer, even if it means uncovering secrets that could not only destroy Zoe and Pete, but also those closest to them.